Day 1: We meet up at 15:00, at the yacht. After we have given all information about the tour program, you will have free time to visit Fethiye. Dinner and overnight stop will be in Fethiye Harbour. 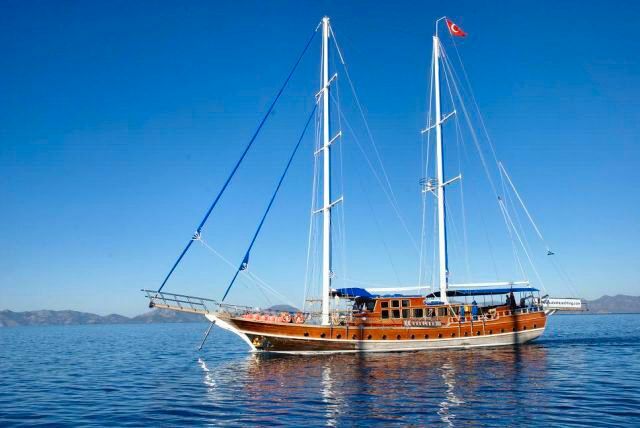 Day 2 : After the breakfast will take up the anchor, and cruise to a bay near to Ölüdeniz. Dinner and overnight stop at the island of Gemiler, you can see the Byzantine ruins. Day 3 : After breakfast we will go to the Ağa Limanı bay. After a short walk in the bay of Ağa Limanı, you can see the ruins from Byzantine times, the old theater as well and can watch the beautiful sunsets. Day 4 : After breakfast we will go to the Ekincik Gulf. 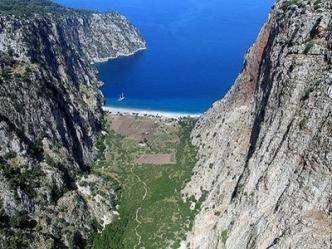 If you wish you can join a optionally Dalyan tour and visit İztuzu beach which hosts the turtle's Caretta Caretta, and the king rock tombs. Dinner and overnight stop in Ekincik Gulf. 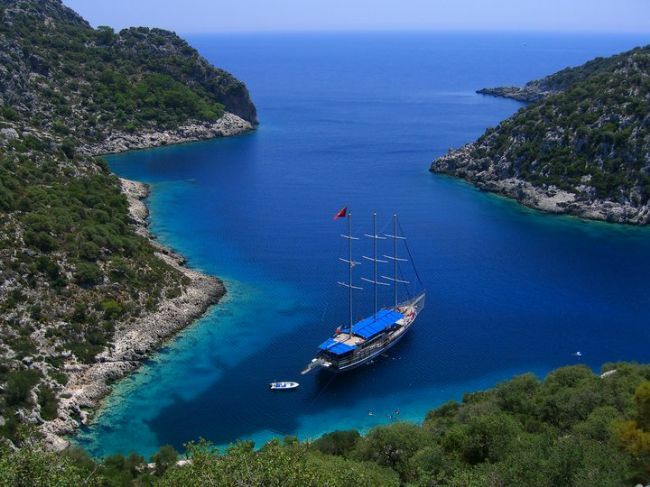 Day 5 : Today we will go to the famous Göcek Gulf with some magnificent bays. We will spend time here enjoying the beautiful bays. Day 6 : Today our first stop will be to the Tersane ( Shipyard ) island. 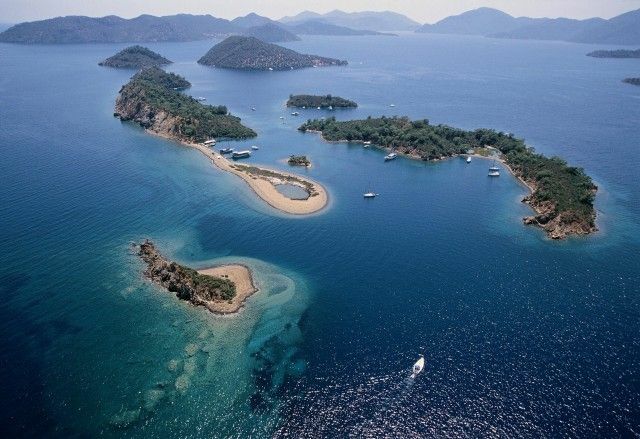 This islands history is dating back to Byzantine times, we will spent relaxing time in here. 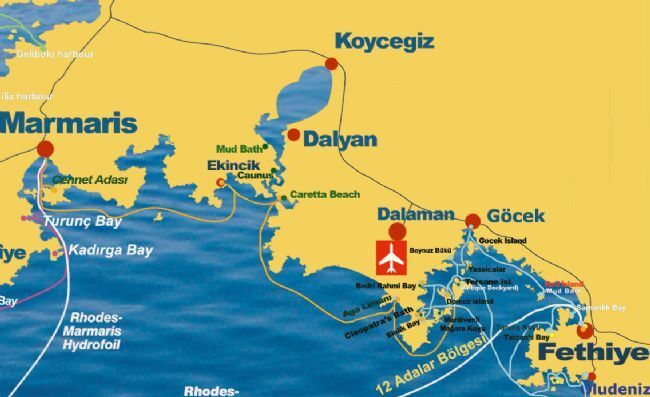 Dinner and overnight stop will be in Manastır bay. Day 7 : After breakfast we will go to the Kızılada for our last swimming break. 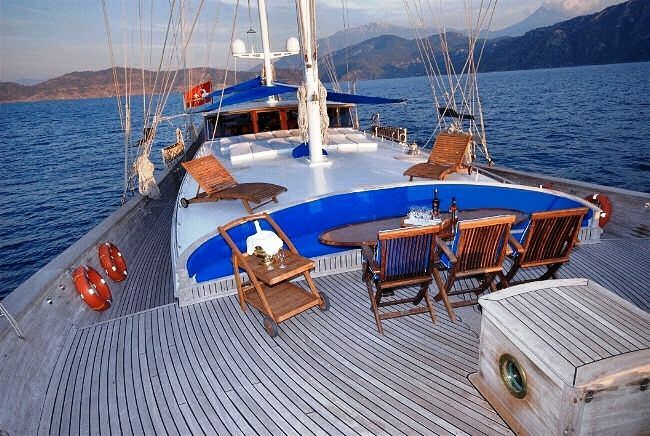 Dinner and overnight stop will be in Fethiye Harbour. 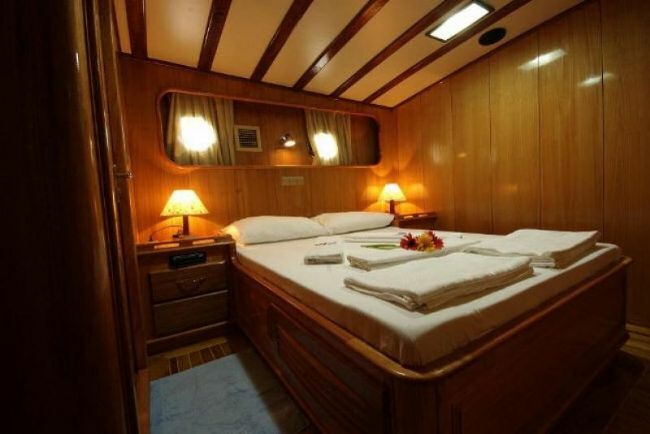 •Weekly prices above are in EURO and are for one person in a double cabin on a Full Board basis. •No child discount available in this itinerary. As NO children under the age of 12 is permitted. • All alcoholic beverages, cola and other soft drinks • Optional land tours and entrance fees to historical places and museums. Captain has the authority of changing the route program, if due to sea and weather conditions.